By the time I sorted my Halloween pictures out last year it was over! 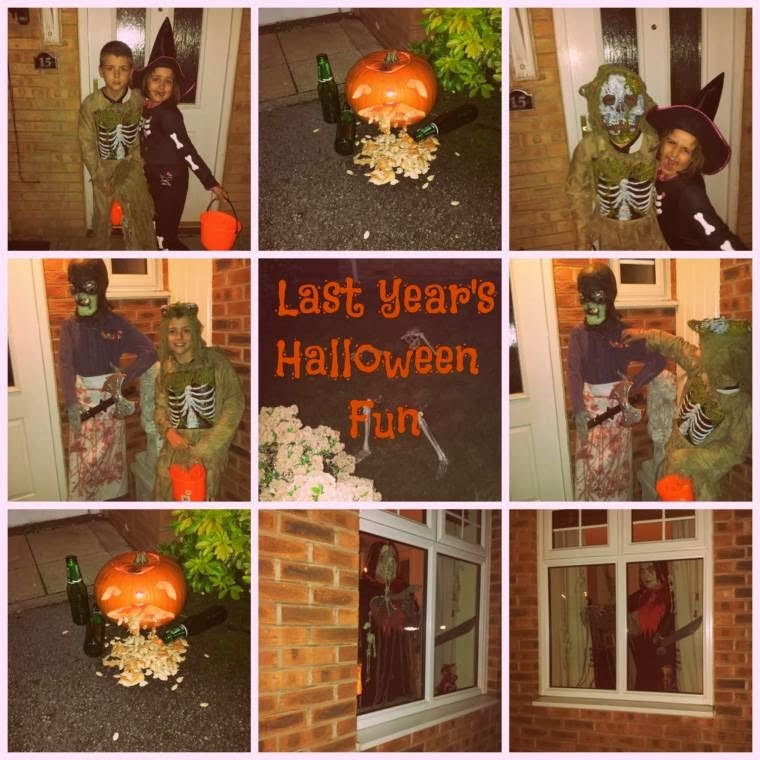 "This Week I Am Loving…"
Great Halloween shots Claire! Looks like you all had a good time last year. Happy Halloween 2013. It is good to be co-hosting again. Haha the kids didn't go near this !! The drunk pumpkin made me smile! Happy Halloween! I know I'll be dressing up. Got a bit of a chuckle out of the drunk pumpkin. Hi Ai, no I never got no email, sorry 🙁 do you want to send it me again? Great photos! Hope you have a wonderful halloween! The kids look great… and that pumpkin is awesome! Great pumpkin! I'm still laughing! !